Question: When is Sylvia McNicoll not Sylvia McNicoll? 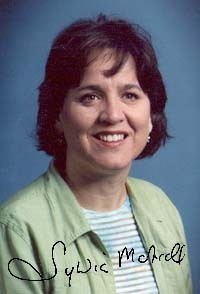 Answer: When she's Geena Dare, author of books in Orchard's "Stage School" series for early adolescent girls. 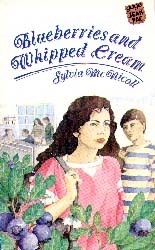 The impetus for Sylvia's name change was a phone call from author and editor Sharon Siamon, someone Sylvia first encountered while sending out the manuscript of her first book, Blueberries and Whipped Cream. "Nelson was the fourth publisher, and they couldn't take it, but Sharon, who was then editing there, sent it to her husband, Geoff, who published it as a JeanPac. Sharon and I became friends, and later I worked with her on The Tiger Catcher's Kid, More Than Money, and Facing the Enemy. In this business, you keep writing for your friends. You don't write where it's profitable. Every once in a while, when Sharon wants something, she'll give me a call. She never asks outright either, but will just sort of say, 'Do you know anyone who has...?'" "Sharon told me about the 'Sleepover' and 'Stage School' series she was writing, the former for Hodder, the latter for Orchard, both British publishers. She said she needed a writer to work for fifty percent under her name. I replied, 'I don't know anybody who would do that, except a beginner,' and added that I'd think of some beginners for her.' Later, Sharon called back with a counter offer: 'We'll go under this new name, Geena Dare, and each of us will earn whatever the book will earn.'" Sylvia accepted and joined Sharon and Linda Hendry in becoming Geena Dare. While the series are published in England, their action occurs in Canada. "We're going to North Americanize the Brits because the setting's vaguely Toronto." While liking the "foreign" locale, the editors occasionally want a British touch, especially when it comes to characters' names. "The Brits will come back and say things like, 'Vivy doesn't work for us, I'm afraid.' So Vivy became Abby, and Lauren used to be Claire, but that changed after I'd written the manuscript for the first "Stage School" book, Dan Clowning Around. Fortunately I was working in WordPerfect, and it was just a case of hitting 'Shift F2'." "There are five major characters in the "Stage School" series, three girls and two boys, each with a different expertise. I'm in charge of boys, and Orchard quite likes them because they notice the shift in tone. Sharon is quite an adventure writer and has a different style which lends itself to the 'Sleepovers' whereas I do the humour. In Dan Clowning Around, Dan's the comedian who originally wanted to be a serious actor, but he constantly falls into silly things such as a dancing pimple commercial. Dan's father is a writer who does character writing by living the parts. Consequently, the lunches Dan brings to school reflect what his father is writing. For example, Dan has tofu sandwiches because his father's writing about a pacifist." 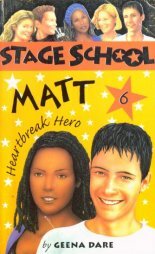 The second "Stage School" title is Matt Heartbreak Hero. "Matt's a dancer who's just got mononucleosis. Mono's a great disease because you can do anything with it that you want. I've known so many teenagers that have had it in all its various forms. It can look like something worse, like leukemia, and so I drag it out a long time in the story. Matt's dad didn't really want him to dance anyway, and, at one point, makes the comment that he didn't want Matt to grow up as a 'cake boy.' That's as close as I get to a touchy subject." For Sylvia, the good news is that she's involved in writing a series, something that's most difficult to do in Canada. "Here, you can do a book one year and another the next year, but kids grow up too quick, and so it never ends up being a series unless the publisher keeps your old books in print and then, after the third year, packages them saying, 'Here's a series of three books.'" But Sylvia's good news is also her bad news as her six book contract calls for "a 100 page book every two months. Originally, they wanted them 25-30,000 words long, but Sharon ended up writing 20,000 word books." "Research is very hard to do for the series books. I've never danced. Well, actually I did dance - very badly in college, modern dance. The teacher kept throwing me in the back. As research, I'm going to school productions. There's a performing arts school in Etobicoke, and I'm constantly there. They're fabulous productions. I'm seeing so much more live theatre, something I've gotten away from since college. Acting and writing are very close, hand in hand, I think." Born in Ajax, Ontario, on September 30, 1954, Sylvia also lived briefly in Prescott and Cornwall before moving to Montreal when she was in grade three. "When I was a kid, I was almost programmed to be a teacher or a stewardess. To this day, my mother, who likes to fly, is disappointed I'm not a flight attendant because all her friends have kids who work for some airline, and, unlike them, she can't get a discount. In high school, I lost any initiative to do well in school. I was your standard 'boy-chaser' who liked sports and socializing, but my marks dropped. I could have probably gotten a scholarship if I'd just performed to my potential. In those days, there was a baby boom and CEGEP was new and it was free. Because there were so many people entering, I only got accepted at night, and so I applied to Loyola and paid to get in the day time. My dad said that I had to go into commerce because that's where the jobs were, and so I played along with him and, after two years, went to work. When I went into university, I took my courses at night, and I just took what I wanted. Those were the good old days, and the company I worked for paid a hundred percent of my fees. Oddly, they didn't care what I took either. After I finished my B.A., they gave me a 20% increase and started interviewing me for management positions, but then I stayed home to have kids." "That was a good change because that's when I finally realized, 'It's time to think about what do you really want to do?' I started going to writing workshops, and the first course I took was Jamie Brown's at Concordia. In those days, I wasn't serious enough. At the time, I had one child, and I'd write a short story and think, "This is it," and submit it to Chatelaine. It took having the kids for me to find the children's niche because initially my writing was all adult. With three kids and one income, it was touch and go financially. I used to lie awake at night thinking, 'When can I go back to work because then we can pay all this off?' Then I thought, 'I have this period until the kids are all in school to establish myself as a writer. If I haven't earned any money from writing by then, I will give it up for ever because you cannot go to work, come home and not spend any time with your kids.' I started writing household tips for Family Circle or whatever, and, by the time we moved to Burlington, Ontario, cheques were being forwarded on so I had made a breakthrough as it were." "Through a workshop, I'd met Gisela Sherman, and, because I was then writing an 'adult' novel, Gisela had to drag me kicking and screaming to Paul Kropp's children's writing course. The very first night, Paul used an overhead of an ear, and I recall thinking, 'I'm here looking at an overhead of an ear!' Paul said, 'What does everyone want to do as a project?' And I said, 'I'm working on an adult novel.' 'Fine,' he replied. 'Give me an outline by next week.' I switched over to a kid's novel, gave him an outline, and we read every week. But I found everybody read something totally humorous, and I remember adolescence as being such an intense time. I wrote Blueberries and Whipped Cream about someone whose mom had died of cancer.' I was the one making Paul cry, and so he thought it should be published. At the end of the course, he suggested four publishers, and I rewrote it for him a couple of times and off it went." "My goal was really not publication, but a 'Type B' rejection, a rejection that didn't say, 'Sorry, this doesn't meet our requirements.' Happily, every rejection came back as a 'B'. Getting lots of type B rejections caused me to raise the bar. That was no longer good enough. I'm so close I want it published, but I knew I couldn't take rejection, and so I told myself, 'In three months, they're going to reject me. You've got to expect that so you need to have another book out.' I decided to write Jump Start, for my mentor, Paul Kropp. After I wrote that one, Sharon Siamon called asking, 'Would you have anything funny for grade six?' 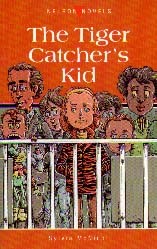 I thought, 'OK, before Jump Start gets rejected, I'll have another one, Tiger Catcher's Kid, out. I remember the glorious first week of January in 1988 when everyone called back and accepted all three novels. That year I made $800 for three books! Now I make more than that on Public Lending Rights." "While the three books were exciting, I realized, 'I really can't live on this.' I couldn't believe that you could write three books and make such little money. Also what surprised and disappointed me was that the books come out and the world doesn't stop. People don't bow down at your feet. That was a big disappointment because, if someone had told me that they'd written a book, I would have been on the floor kissing their toes, and nobody was doing this when my books came out." As noted, Tiger Catcher's Kid was also the result of a call from Sharon. "At that point, I was freelancing for The Burlington Post and had this car that was always breaking down. The garage that I went to was right next door to an animal shelter, and I thought I'd go and see if I could find any stories to sell to the newspaper. I learned about cougars escaping in the Burlington Mall. The book's based on a true story except I changed the animals to tigers and fabricated a little bit to pump up the volume on the climax. The man actually did choke a tiger to death, and they were sued. When Sharon asked me, I said, "Sure." When somebody asks you, you're all flattered because all this time you're submitting and being rejected, and so you say 'Yes' whether you can or not. Then you hope and pray that you can." 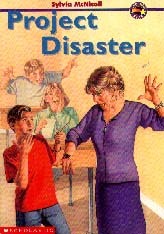 "Blueberries, Jump Start and Tiger Catcher's Kid were all out simultaneously when I wrote Project Disaster. I really liked the "Blue Kite" series that Lorimer had, and so I submitted the manuscript to them but got no reply. One day, at a CANSCAIP meeting, all these young women from Scholastic came in, and I met Dianne Kerner and said, 'I have a manuscript,' and she sort of cringed. It was a cardinal sin, but I turned it in to her the next month. I had thought the book was a little short but was prepared to make it longer if Scholastic liked it. When Dianne called, she said, 'Are you familiar with our 'Shooting Star' series? How would you feel about making the book shorter.'" "When I wanted to write the sequel to Project Disaster, Scholastic said, 'What works best for us is having the characters in grade 3. Let's write it backwards, a prequel that puts Neil in grade 3.' Dianne also added, 'We don't have any sports books in 'Shooting Star'. What about soccer?' to which I replied, 'Too much running.' Dianne said, "I forgot. You have to join every sport you write about." As my family was playing baseball in the park a lot, I suggested baseball, and she agreed. 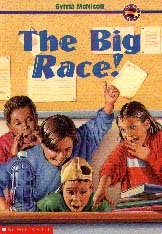 By the time I'd finished writing The Big Race!, Scholastic had decided that sports books weren't doing well in their book club, and they didn't want a sports focus. Because I'd been working with a group of grade two kids and Robin, my daughter, had a snail project that I really thought was neat, I put these snails into the book. Whatever happened to my daughter's snails at school happened to the book's Robin. The real Robin's snail got a cracked shell and went to the top and hid for days. My Robin never broke her nose playing baseball, but somebody else I knew did. And just for fun, Paul became Mr. Kropp the janitor." 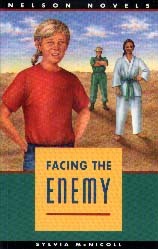 Facing the Enemy is another book that can be traced to a call from Sharon. "You can't imagine what an incentive to write someone's call is. I was going to write a Ninja book, and, as part of my research, I was going to learn the Ninja's secret fighting art. Because nobody was teaching it, I took judo because I got a discount at Sheridan College. The editors said, 'Why don't you write something silly' and so I started writing 'Revenge of the Nerdettes," which became my hobby book for years. I kept rewriting it and rewriting it, and nobody ended up taking it. While I was writing it, Sharon asked, 'Would you like to write something for us?' I'd written More Than Money, and she said, 'But not a More Than Money. We want a Blueberries and Whipped Cream for boys. And I said, 'Oh, how do I kill dad?' The Gulf War had started, and I really got caught up in it. I wrote Facing as the war was going on, and we didn't know how it was going to end. I went to Canadian military bases to do the research. One day when I was on a base, there was a little piece in the newspaper saying there had been a hit on Canada Dry One. I asked the officers there for details, but nobody knew about it. That gave me an idea, 'What if something similar happened to Cliff and nobody knew about who got hurt. What if Cliff's father was supposed to call and didn't? What would Cliff think and why would he think so as he played back the letter that sort of sounds like Dad feels he's going to die?'" "Although I took a chapter from 'Revenge of the Nerdettes' and created a short story out of it, that's still the book that never made it. The two main characters are Claudette the Nerdette, who's sort of clumsy, and Marge the Barge, who's fat and acknowledged it. Everyone who read the manuscript always said, 'We love Marge.' When Scholastic were seriously going to 'maybe' publish it, I quickly hit them with a proposal for a sequel - Marge dieting. Then they came back with the bad news, 'We're not taking 'Revenge', and we're not taking Marge dieting, but we'd like a dieting book.' They sent me Dorothy Joan Harris' Even If Kills Me, which I'd already read, but I read it again. Then I started doing research and worked with Dr. Miriam Kaufman. What I found was that an anorexic is hostile, a liar, and, basically, according to the doctor, unpleasant. I thought, 'Well, why would I write about that.' Even though the opening of Harris's book says nobody's to blame, the whole book blamed the parents. And I thought,'Kids should take responsibility. So many of us go through bad situations and come out ahead. Let's not give them an excuse. If you have an eating disorder, take responsibility for it.' I think I wrote Walking a Thin Line from a very adult perspective, and, when I completed it, I was nervous that it was too 40-year-oldish. However, I was working with some kids in an Ontario Arts Council project, and I gave the manuscript to six girls and they just loved it. I was so pleased." "At a low point in my career, when an agent had returned all my books saying, 'Sorry, kids' writers don't make enough money for me to represent them,' and two books had been rejected, I called Sharon Siamon just to yammer. She asked me to write a funny environmental story for Owl magazine where she was a contributing editor at the time. 'Oh sure, environmentalists with a sense of humour,' I said and then went completely off on another tangent." "A friend of mine told me about fostering guide dogs for Canine Vision Canada, and, coincidentally, my husband, Bob, commuted and worked with a man whose family had raised three. I listened with awe to the amazing story of emotional upheaval that families go through falling in love with puppies and giving them up after a year. I just had to write about it. To make it environmental and to give the idea of time passing, I included a compost heap at the beginning and end, first as garbage and then as soil. 'Another Family Project' ended up too long for Owl so I had to cut and cut. When they bought it, I felt I had to write the whole story. Bringing Up Beauty was born. 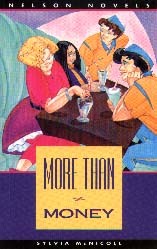 I received a grant from the Ontario Arts Council for the first 60 pages, 'based on superior literary merit.' I think I'll have that carved on my tombstone." "I worried at the time that, if serious adult literary types liked it, kids might hate it. How rewarding it was to win Ontario's Silver Birch Award and the Manitoba Young Reader's Choice Award - both children's choice awards - to prove myself wrong." "I've also written two books for a Scholastic reading series proposed by Paul Kropp. His idea was to write a 10,000 word book using high interest-lo vocab, but then to also write a 1000 word short story to go with it. Scholastic would compile an anthology for those kids who have difficulty reading or just don't like reading. They'd read the short stories, and, if they liked a story, then they could go on to the book. I think this is an excellent idea, but how many writers who write novels like writing short stories? Because Paul was writing one, I challenged him, 'Have you written your short story yet?' And he said, 'Wow, a 1,000 word's really tough.' And his ended up being 1700 words." "When I thought about my short story, what attracted me most was my original Owl story, 'Another Family Project.' I told Paul, 'If you like this short story, take it, and I'll write a shorter version of Bringing Up Beauty. 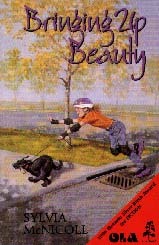 Lots of kids had written me, wanting me to change Beauty's ending so that Elizabeth gets to keep the dog. 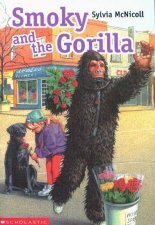 Well, I'm finished with the character of Elizabeth, but I created a new character, Eric, who wants to save for a Camcorder, and so he dresses as a gorilla, sells roses and gets a dollar for each bouquet. Meanwhile he's doing a video of his dog that he's returning to Canine Vision. Eric thinks he doesn't really like the dog, but something amazing happens. When the dog goes back to Canine Vision, they decide it's depressed because it's a one family dog, and so Eric gets his dog back. The book's called Smoky and The Gorilla." 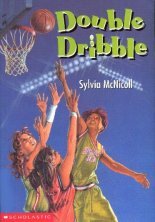 "The other book I did for the Scholastic reading series is Double Dribble. It's about a subject I wanted to explore. My daughter was heavy into basketball and something called 'rep' basketball, a kind of all-star team. I recall going to some fundraising function and being blown away by hearing another mother seriously say, 'Rep basketball is not about fun. It's about competition and getting scholarships for basketball.' My daughter actually quit rep basketball because she said, 'Practices aren't fun.' When I was a kid, I was on a championship basketball team. We weren't nearly one-tenth as good as my daughter's team, but, by gosh, we had fun in practices and games. At recess, we even went to the gym and had shooting practice. And so I wrote Double Dribble in which two best friends get bumped up to the triple A team for three weeks. Because only one of them will get a spot, their friendship starts to fall apart, Of course, in the end, they quit triple A and go back to double A." 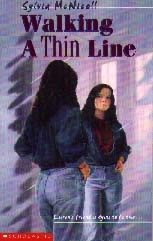 "I have a sequel to Walking a Thin Line in mind. Everyone calls Walking an 'anorexia' book, but it's not. I'm scared of that word, and so I say it's a 'body image' book because, truly, the main character is not anorexic. I wanted to do another book about 'lookism,' and I took Kim, who wants to be a supermodel, from Walking. She and Jay get caught up in shoplifting. Kim's written in to one of these model searches. A nail-biter, Kim, on the day of her interview, has bitten her nails and goes to buy false ones. According to a piece I heard on radio, apparently false nails are one of the most shoplifted items. Kim's in line to pay for her nails, but, because it's Senior Citizen day, the line's going too slowly. Fearing she's going to miss her appointment, Kim just shoplifts them, and 'boom,' isn't she caught? I was in the middle of this book when I was asked to do the 'Stage School' series. When you submit an outline and three chapters, you have to be really clear, and my outline isn't yet." When it comes to her approach to writing, Sylvia says, "I don't have a set time to write. It would be better if I did. I'm too hyperactive to be one of those people who gets up in the morning and writes. Inevitably, it ends up that I spend the morning running around doing things like calling teachers and schools. So I end up writing in the afternoon, at night, on airplanes, I write everywhere and whenever I get a chance. I like to write in the car when somebody else is driving. On the QEW, it's no problem to write while you're driving. And I like to write around water, pools or lakes." "I don't have a plot mapped up in my head, but I like to have a beginning, a climax and an end in mind. Probably why I'm having trouble with the sequel to Walking a Thin Line is because I'm not getting a clear cut ending. I usually have to have those three points before I can actually start writing. I think characters, at least the main character, are fairly immediate too. Usually the three points of the plot and the characters are what start the book off, and a phone call from an editor. There's a market drive. And courses keep you on track. I have a workshop that meets every two weeks. In between, I have a workshop with a friend, and there's a push to have at least a chapter done so you have something to read. You're always driven forward, but I know a lot of writers, they write a book, send it out, and they can't help it, they put themselves on pause mode waiting to hear. For me, that's absolutely no good." The Big Race. Scholastic Canada, 1996. 0-590-24908-8. Grades 2-4. Blueberries and Whipped Cream. Gage Jeanpac, 1989. 0-7715-7017-1. Grades 5-8. Bringing Up Beauty. Maxwell Macmillan Canada, 1994. 0-02-954257-X. Grades 4-8. Facing the Enemy. Nelson Canada, 1992. 0-17-603064-6. Grades 5-8. Grave Secrets. Stoddart, 1999. 0-7737-6015-6. Grades 3-7. Jump Start. Collier Macmillan, 1989. 02-953928-5. Grades 5-12. More Than Money. Nelson Canada, 1990. 0-17-603058-1. Grades 5-8. Project Disaster. Scholastic Canada, 1990. 0-590-73742-2. Grades 2-4. The Tiger Catcher's Kid. Nelson Canada, 1989. 0-17-602592-8. Grades 2-4. Walking a Thin Line. Scholastic Canada, 1997. 0-590-12379-3. Grades 5-9. Dan Clowning Around. Orchard, Books, 1998. (Book 5) Grades 5-8. Matt Heartbreak Hero. Orchard Books, 1998. (Book 6) Grades 5-8. 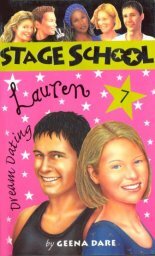 Lauren Dream Dating . Orchard Books, 1999. (Book 7) Grades 5-8. This article is based on an interview conducted in Winnipeg, March 1, 1998.